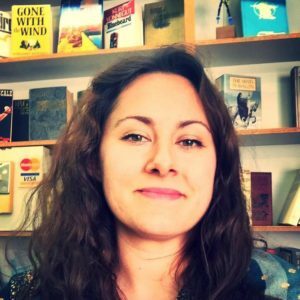 In a nutshell, what’s it like owning your own bookstore? I have the privilege of doing something that I am incredibly passionate about, something that I never expected to be a real option. I assumed that owning a bookstore would be something that I would do when I retired (if at all). So to find myself in this position in my early thirties was not something that I expected. But even getting your dream job, you will eventually come up against reality, where it doesn’t quite match up to your expectations. My customers are awesome and completely make my day worth it – we talk books and share our loves of stories, but at the end of the day running a bookstore is still 90% business. My mom and I took a road trip through the south one summer. We had two weeks to go from Virgina to Louisiana, where we had plans in New Orleans. We went all over the place but I made mom drive all the way through Mississippi to get to William Faulkner’s hometown of Oxford, Mississippi so I could see his house Rowan Oak. I still have the books I bought from the little bookstore in Oxford and a picture of me on Faulkner’s front porch. I have made literary pilgrimages to the Lake District and Stratford-upon-Avon, but my absolute favorite place was Thomas Hardy’s home in Dorchester. 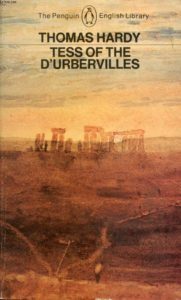 I don’t remember the first book that made my cry, but I do remember the first book to make me cry in public – Tess of the d’Ubervilles by Thomas Hardy. My junior year of high school I was a foreign exchange student to Poland for a full year. There was only one bookstore in the town I lived in that sold English language books – and it was one small section of bookshelf about 3 feet long with nothing but Penguin Classics on it. And so that is what I read. 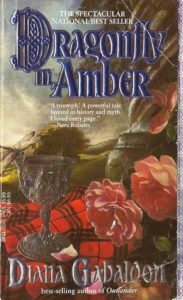 My mom would periodically send me boxes of books (like the first four volumes of the Outlander series by Diana Gabaldon), but for most of that year, I read my way through the English Classics. I was reading Tess in class, and when I got to the end, I burst into tears and ran out of the classroom. I remember it like it was yesterday. One of the downsides to owning a bookstore for me is that I find I read more to stay current than I read for my own pleasure. 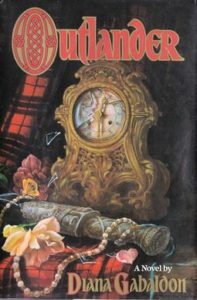 My reading tastes are often eclectic and run towards the niche and so don’t make great suggestions for general readers, so I try to make sure I read things that are popular, and people will be asking about. But one of the advantages to running a used bookstore is a high percentage of our customers don’t need/want recommendations since they come in with a list of every James Patterson/Nora Roberts novel and are just trying to find the five they haven’t yet read. 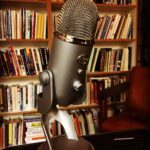 So for the past few years, I worked hard to stay current in my reading, and that is where I found myself having reader’s block. Absolutely NOTHING I picked up seemed to hold my attention or stimulate my reading mind. I was looking over my Goodreads for last year and was so embarrassed by how few novels I had read! It was so much fewer than previous years and to top that half of them were audiobooks. I find that when I have a hard time reading fiction I default to non-fiction and for some reason, reading non-fiction doesn’t feel like “reading” to me. Maybe because I was a history major and have more “training” reading non-fiction and academic writing? I don’t know why, but reading non-fiction is like candy to me; it uses a very different part of my brain than reading fiction, and I find it much easier to read. I decided that I was going to break that pattern and made myself read through the “Best of the Booker” list. 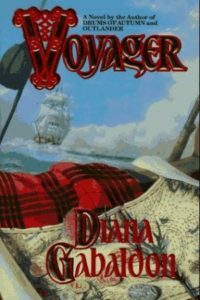 My only rule was that I had to finish each book, and I couldn’t pick up or start anything else until I finished it. It was quite fun. I think that removing the element of choice or trying to find the “right” book for me was liberating, all I had to do was read through the Booker stack. That broke my reader’s block, and I plan on using that technique next time I feel stuck. 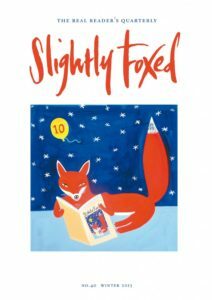 I’m going to go out on a limb here and recommend Slightly Foxed which is a literary quarterly published out of the UK. This is not directed at writers but for readers, and readers of old forgotten beloved out of print books….I don’t know that reading this will help writers write better, but it is a damned great quarterly!! I have so many!! 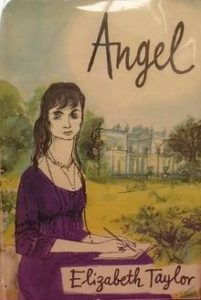 Angel by Elizabeth Taylor. 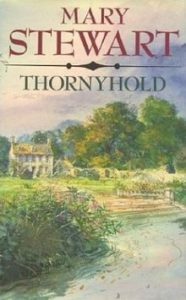 Thornyhold by Mary Stewart. 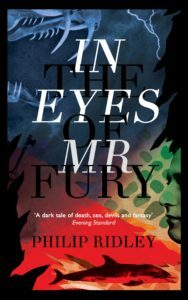 In the Eyes of Mr. Fury by Philip Ridley. 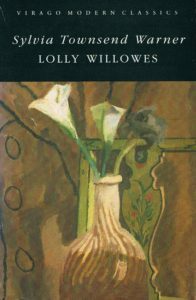 Lolly Willows by Sylvia Townsend Warner. 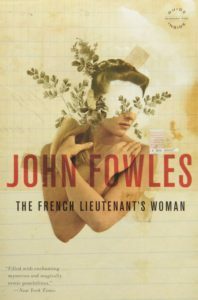 The French Lieutenant’s Woman by John Fowles. I read for all sorts of reasons; information, entertainment, and escape, but I think my deepest motivation in reading is almost spiritual. I am always looking for a book which gives me new eyes to see the world. I read to make the everyday experiences of living seem foreign, or the foreign seem familiar. 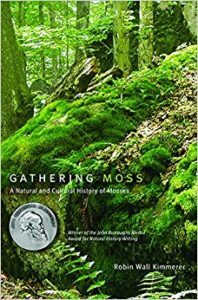 Some good examples are Gathering Moss by Robin Wall Kimmerer. She is a biologist whose understanding of moss is so profound that she makes it seem like an alien world, the most bizarre Sci-Fi has nothing on moss! 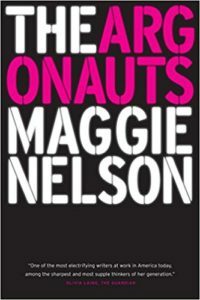 And Maggie Nelson’s The Argonauts does something similar. Cows are my very favorite animal on the planet. I love cows. I used to work on a dairy farm. When I was 13, I had two pet cows that I bottle fed and raised myself. They would wait for me to get off the school bus every day, and I would jump the fence and play with them. When they were laying in the pasture, I could lay on them and read my book. We were best friends.